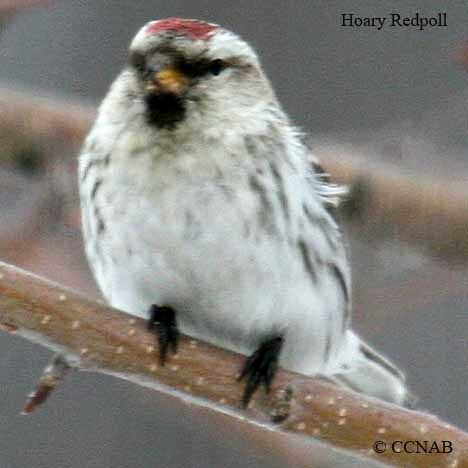 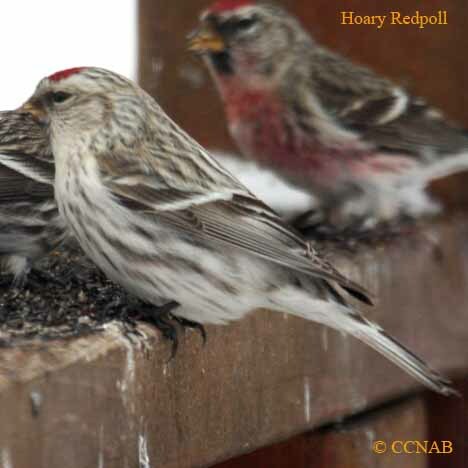 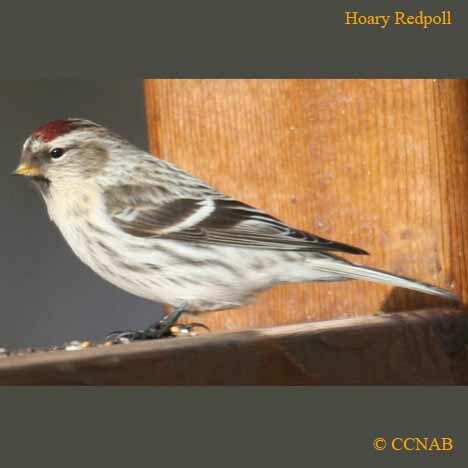 The Hoary Redpoll is the larger of the two redpolls seen in North America. 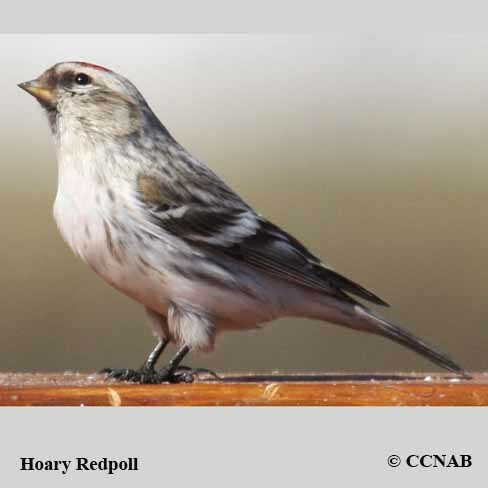 This whitish bird nests in the far north, many spending the full year living in the arctic. 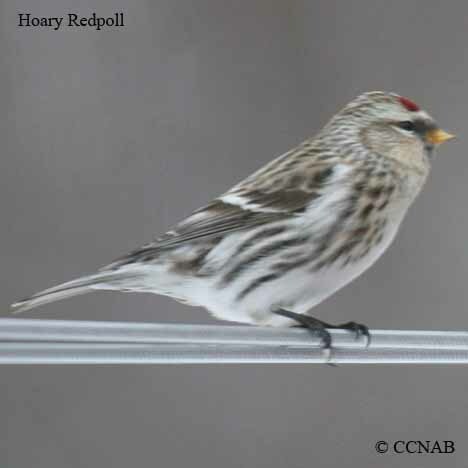 During the winter months some will migrate into the southern regions of Canada, and maybe seen around backyard birdfeeders.